Since the rapid pace at which businesses evolve make constant learning necessary for employees to stay relevant, why not make it fun and interactive? 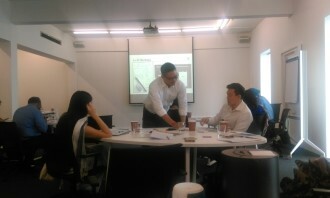 That’s exactly what WDHB Strategic Learning did last week with their Open Learning Expedition in Singapore. 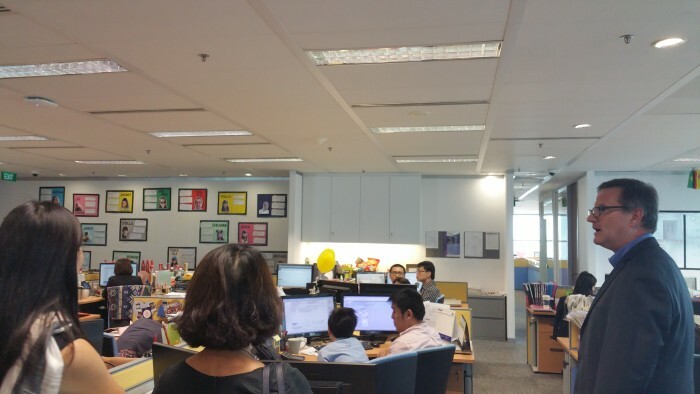 The one-and-a-half day event brought 11 senior HR professionals from industries across Singapore, Hong Kong, Malaysia and India together to showcase ideas on learning through hands-on experiences as well as peer discussions. 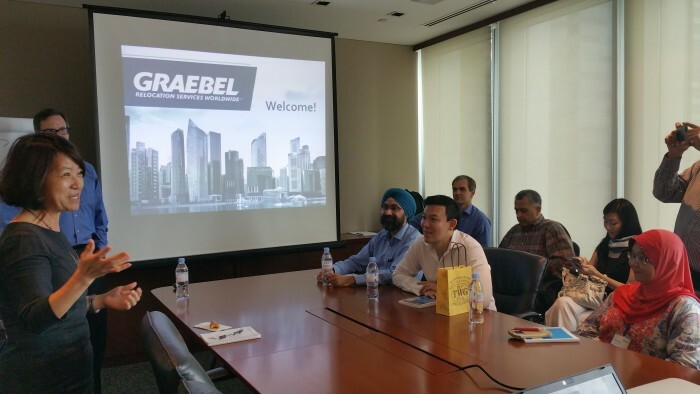 Human Resources sat in for one of their sessions – a company visit on the theme of multidimensional collaboration – where delegates visited Graebel Relocation for an interactive case study and discussions. While everyone agreed that greater collaboration is needed within the HR function on the mobility of talent, what was interesting was the opportunity for HR leaders to share their personal experiences, in terms of how they currently manage this issue at their company. 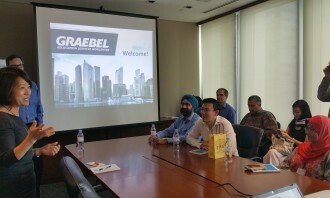 “Instead of a top-down approach, we create a collaborative environment with our suppliers to implement the best solutions for our clients,” said Scott Sullivan, managing director for Asia Pacific at Graebel Relocation, in reference to the company’s case study. 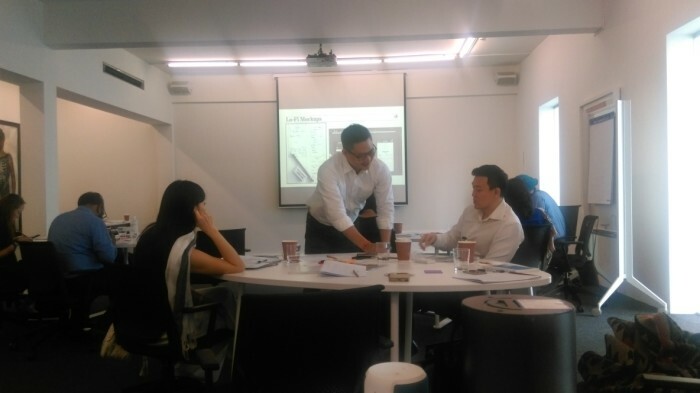 An earlier part of the Learning Expedition included a rapid prototyping workshop lead by Adrian Tan of Joyful Frog Digital Incubator. Guiding participants through the “build-measure-learn” methodology many startups adopt, the workshop had them team up to build a mock app, best described as “Uber for private nurses”. The process included creating a product pitch, customer discovery, a sketch of a minimal viable product and a product analysis. It gave participants new tools to address forces of disruption and continuous innovation, similar to how startups navigate uncertainty by running structured innovation experiments. “Learning expeditions are experiential. They allow participants to see things in action, to learn from others they meet, as well as from each other,” said an HR executive from Titan Company, also one of the participants. 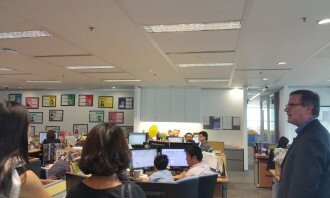 Amanda Reynaud, who leads WDHB Strategic Learning in Asia Pacific as MD, explained the company’s novel approach to learning: “At first, the learning expeditions they served to introduce executives to the innovative culture of the Silicon Valley. The rest of the one-and-a-half day programme focused on innovation, digitisation and collaboration, through company exchanges, panel discussions, informal dialogues and workshops. Impacted employees will receive assistance, including severance compensation, outplacement services and priority considerations at..